Thermi® is a non-surgical body contouring treatment that lifts and tightens the skin, giving you a youthful and renewed appearance. One of the worst aspects of aging is its effect on your appearance. Loss of overall volume in the face, loose skin (“jowls and/or turkey neck), rough skin texture, facial lines and wrinkles, and pockets of excess fat buildup are all aspects of aging that can affect the way you look and feel. If you’re looking to correct one or more of the above, then one of the innovative ThermiRF/ThermiTight procedures is a non-surgical solution that helps tighten and smooth skin, remove excess fat and/or restore a youthful appearance. At Cosmetic Laser Dermatology, our board-certified dermatologists are skin and body sculpting experts, providing a wide range of cosmetic treatment options for patients interested in body contouring and reducing the adverse aesthetic effects of aging. We pride ourselves on bringing patients the latest and most innovative cosmetic treatments available. Thermi technology is so versatile that it can be used to address different treatment areas with the state-of-the-art handpieces ThermiLift and ThermiTight. Generally, the Thermi systems are designed to deliver visible results in a single treatment session. However, as this depends on your goals, the extent of your condition, and the areas you want to target, additional sessions might be necessary to achieve optimal results. One of the most telling signs of aging is skin laxity, which results in loose, sagging skin. Many people turn to surgical procedures such as facelifts or neck lifts in order to address the problem of loose skin. At Cosmetic Laser Dermatology, we believe that surgery is not always necessary to achieve youthful results. We can give you tighter, younger-looking skin without surgery by delivering radiofrequency energy via the Thermi system, which stimulates your body’s own collagen growth, resulting in tighter, firmer skin. You can choose to have it tighten the face, neck, arms, and chest. The ThermiBreast procedure is designed to provide a subtle lift to sagging breasts as well. The Thermi system also reduces the appearance of forehead, mouth, and under eye wrinkles. The targeted heat from the radiofrequency energy promotes collagen growth in these areas for tighter, smoother skin. With the increased rate of collagen production, wrinkles and fine lines are diminished. Furthermore, like Botox, Dysport, or Xeomin, Thermi offers preventative measures against future wrinkles by reinvigorating the skin’s natural collagen production. If you have small, stubborn fat deposits that are not responding to diet or exercise, the minimally-invasive Thermi system allows our board-certified dermatologists to reduce excess fat cells and contour your body. During the treatment, a small cannula is placed under the skin to access the unwanted fat cells and deliver radiofrequency energy that heats the fat tissue and causes the fat cells to melt. Your body then naturally and gradually disposes of the cells. Over time, you’re left with a newly contoured body! An innovative new member of the Thermi system is ThermiSculpture™. Cosmetic Laser Dermatology offers this as an appealing alternative to a traditional neck lift. ThermiSculpture combines ThermiLift and liposculpture treatments that mimic the effects of a full neck lift, but without the surgery. This exciting, innovative procedure can give you neck lift effect without having to have surgery. 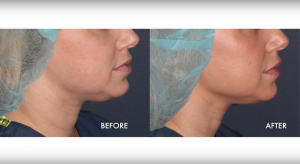 With our proprietary ThermiSculpture™ procedure, you can achieve dramatic results without the downtime that a full neck lift often requires. 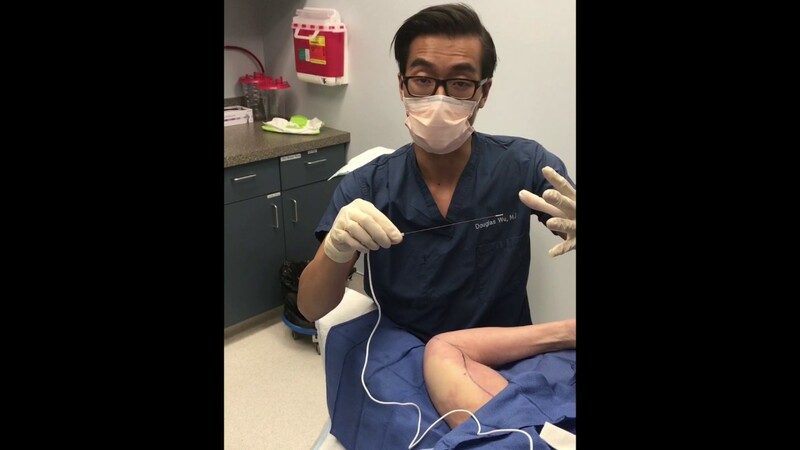 In fact, this minimally invasive radiofrequency procedure requires little to no recovery time, as our experts get optimal results by using the tumescent liposculpture method, an advanced technique in which general anesthesia is not needed. By using local anesthesia, combined with the use of microcannulas in the ThermiSculpture procedure, there is less bleeding, which makes for both a quicker procedure and less downtime. The Thermi systems give you excellent wrinkle reduction, skin tightening, and/or body contouring without surgery or downtime. Also, since our specialists perform the procedures themselves, you get the safest treatments and the best results possible. Contact Cosmetic Laser Dermatology today to how you can benefit from the Thermi system. Thermi is a minimally invasive skin tightening procedure that sends targeted radiofrequency (RF) energy via a probe deep into your skin. This radiofrequency energy heats and contracts your skin at temperatures of 60-65º Celsius, the optimal range for stimulating collagen production deep beneath your skin. This strengthens your skin’s underlying support system, which, in turn, firms and tightens sagging, loose skin so that you regain your youthful appearance! There is almost no downtime with Thermi and it causes little to no pain. Furthermore, depending on the laxity of your skin, you may only need to undergo this non-invasive facelift or neck lift only once because you likely will get the optimal results you want in a single session! Additionally, because Thermi radiofrequency energy promotes new collagen growth, your results gradually improve in the weeks and months following your session. So, as good as you look within days of one treatment, you’ll look even more gorgeous after a few weeks! The process is so gradual and natural that no one will suspect you’ve had any work done. Though you most likely will experience some swelling and redness following treatment, they are mild and temporary and should disappear within 24-72 hours. The treated area may also be sensitive for 3-5 days. 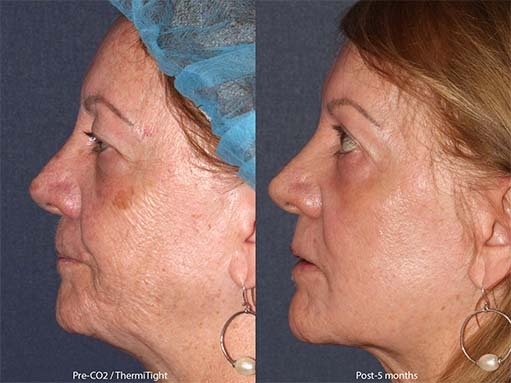 To learn more about the skin-tightening benefits of ThermiLift and ThermiTight, visit thermitight.com or contact our experts at Cosmetic Laser Dermatology. Our warm, friendly staff will answer questions, address your concerns, and listen to your aesthetic goals so they can craft a personalized treatment plan for you. ThermiTight to treat skin laxity under the chin by Dr. Groff. Q: How is Thermi different? A: Thermage is unique in that it uses temperature-controlled radiofrequency energy to tighten the skin and melt unwanted fat tissue. Q: Is Thermi for me? Am I a good candidate? A: You could be a good candidate if you want to improve your appearance by minimizing the signs of aging with undergoing surgery. If you want to tighten sagging skin and/or correct mild wrinkles with little downtime or discomfort, then Thermi could benefit you. Also, if you have pockets of excess fat that exercise and diet haven’t satisfactorily removed, Thermi has body sculpting abilities. To confirm if it’s the treatment for you, schedule a consultation with one of our specialists today. Q: Is there any downtime with Thermi? When can I return to normal activities? A: Because Thermi is minimally invasive, there is little to no downtime required. If you’re busy, it could be ideal because you can resume your normal activities shortly after your procedure is done. A: You can start to see results almost immediately after your Thermi procedure. Yet, because the radiofrequency energy of Thermi therapy reinvigorates collagen production, you’ll continue to see improvement for 6-9 months. A: This depends on your aesthetics goal, but typically, 1 session is sufficient. Consult with one of our specialists to know for sure. A: Typically, results can last for up to 4 years, although this varies from person to person. You can also come in for touch-up sessions every 12-18 months. 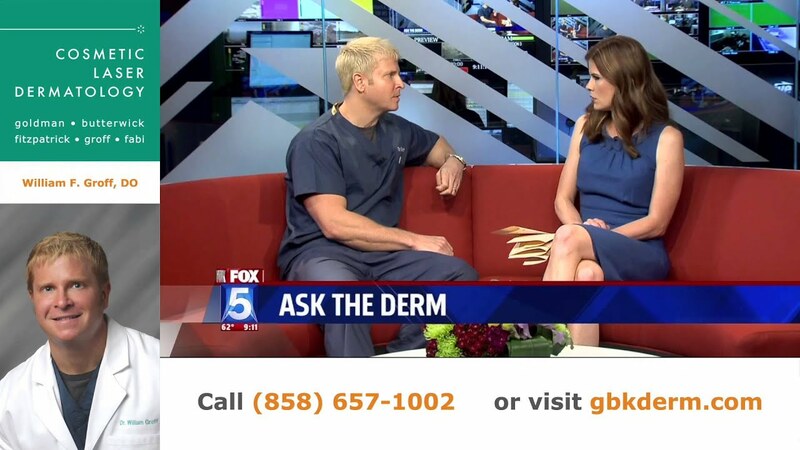 Q: How much are Thermi treatments at Cosmetic Laser Dermatology? A: Because we customize your treatment for your individual case, the cost varies. It depends on which areas you want to be treated or how extensive the effects of aging as well as the overall condition of your skin. An initial consultation with our experts will help determine your final cost. A: Very safe. Because of the ability to control temperature, our board-certified dermatologists can keep a customized, consistent temperature during the session. This reduces the risk of being burned or scarred because the doctors can set the temperature in advance and constantly monitor it throughout. Thermi is FDA-approved to be safe and effective. Q: Is ThermiTight or ThermiLift treatment painful? A: No. Typically, you may feel a warm sensation around the area being treated, which isn’t painful at all. Remember that the treated area will be numbed prior to treatment with a local anesthetic, lidocaine. Q: Which is better – Thermi or Ultherapy or ThermageFLX? A: Great question – one we get a lot. All are excellent, non-invasive methods of tightening skin and reducing wrinkles. Simply put, the difference is in the energy used to get the desired results. Ultherapy uses ultrasound technology to tighten your skin, whereas Thermi and ThermageFLX uses radiofrequency. Yet, each also has different effects on your skin and meet distinctive aesthetic goals, so it’s best to have a consultation with one of our experts to know for sure which is best for you. Contact our dermatology experts today to schedule a consultation at our San Diego skin care center!